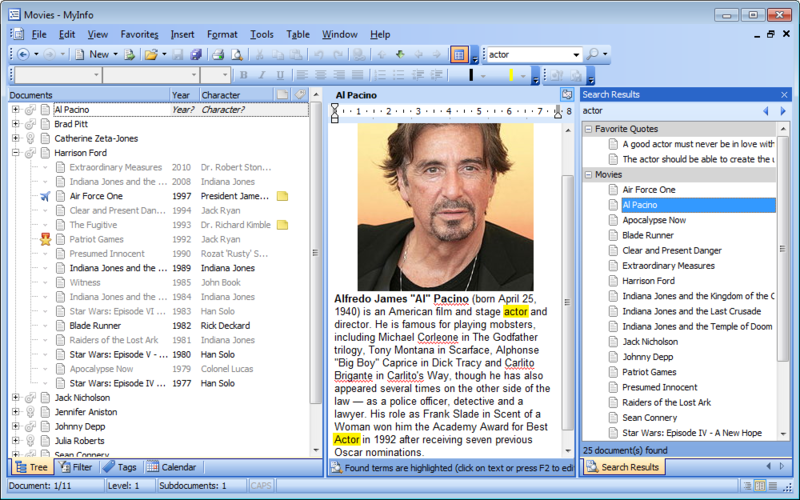 MyInfo is a personal-reference information manager (PRIM). It helps you collect, organize, edit, store, and find personal-reference information. MyInfo was designed to help busy people eliminate clutter, reduce stress, and get things done. By organizing all of your information as MyInfo topics, you'll have instant access to all of your critical data. Use MyInfo to create your personal reference library, to organize your projects, or to take control of your business and personal documents. In addition to storing and retrieving text documents, the program can archive files from other applications. Simply drag and drop text, files, images, and web screens to create new documents on the fly. MyInfo's clean, intuitive interface gives you immediate access to crucial files. You can open and work with multiple files simultaneously. MyInfo has both a simple built-in search function, and a powerful search system that lets you build complex queries. It's easy to organize topics for efficient storage and retrieval. Text styles let you create a professional, consistent look and feel to all of your documents. The built-in web browser lets you surf your collection of web resources, without having to run an external web program. It's easy to learn to use MyInfo. The Welcome Tour gets you started. The MyInfo Tutorial explains all of the program's main features. And there are Tips-on-the-Go screens to guide you at every step along the way. MyInfo automatically backs up your information, ensuring that it will be there when you need it. 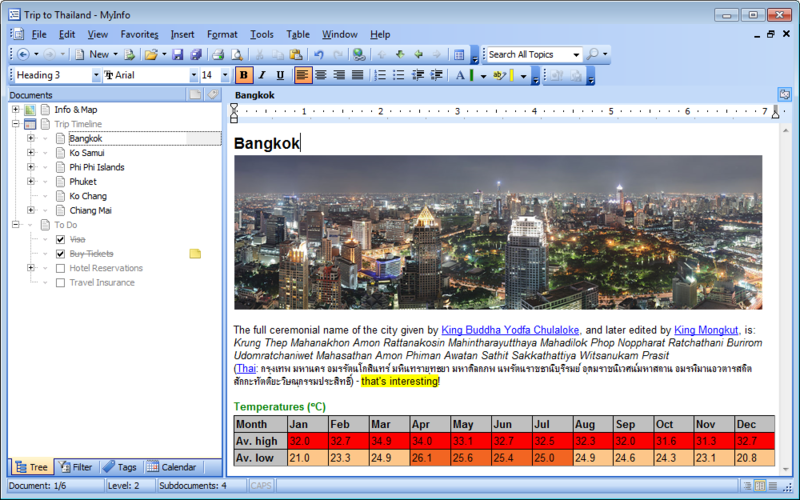 TRichView is used as a text editing engine, featuring rich text formatting, styles, images, tables, URLs and OLE objects.